Newly crowned MotoGP World Champion Marc Marquez admitted that he wanted to win his fifth MotoGP World Championship at the first time of asking at Honda’s home circuit of Motegi. Arriving in Japan, Marquez knew that a victory would guarantee him the title. Despite qualifying on the second row, the Spaniard did what he needed and won the race from Crutchlow and Rins to claim the title. Marquez said he started thinking about the World Championship after the race in Aragon, which is why he didn’t want to waste any time once mathematically possible to do the job. “After Aragon you feel you can achieve your goal, but I don’t like this kind so feeling so I tried to find for extra motivation and I will try to win at the first match point and I will try to win in Motegi,” said the 25-year-old after the race. “But then we started the weekend not so good, but after FP4 I felt like we were able. Then the quali was not so good but after warm up, we reconfirmed and when we did the meeting with Alberto, Emilio and Santi like every race, we discussed and we tried to understand what is our real position and we saw on the pace we were able to fight for the victory. “So I just started convinced and I was focused on the first laps as I knew it was the most important laps of the race for trying to overtake quick and overtake Dovi as he was the man to beat and then just tired to control and be fast and be behind Dovi. Marquez’ final lap was made easier when Andrea Dovizioso lost the front end of his factory GP18 on the penultimate lap, leaving the World Champion to enjoy the final lap, although Marquez said he would’ve preferred Dovi to had kept going as he believes Dovi deserved the podium. 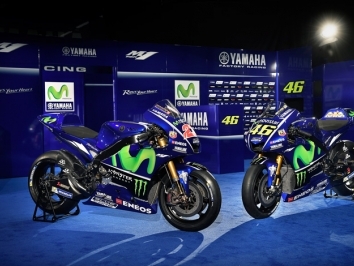 “We tried to understand what was the real possibility and we saw that we had exactly the same pace as Dovi,” he said. “But we were starting in sixth place so I asked myself to be in a perfect way in the first laps. Riding in a perfect shape and rhythm and already at the end of the first lap I was second behind Dovi and I tried to study and analyse. I saw that I was strong enough to fight with him until the end. “I tried to attack with nine or eight laps left I did a small mistake with the grass – it was a great show – but then Dovi overtook me again and he pushed really hard and we started to be in 45’s again. So I was able to follow him in a good way and then I attacked before the last lap. Why? Because it was the same strategy as Thailand and I saw that in the last laps he had more chance to win as he was very fast on acceleration. 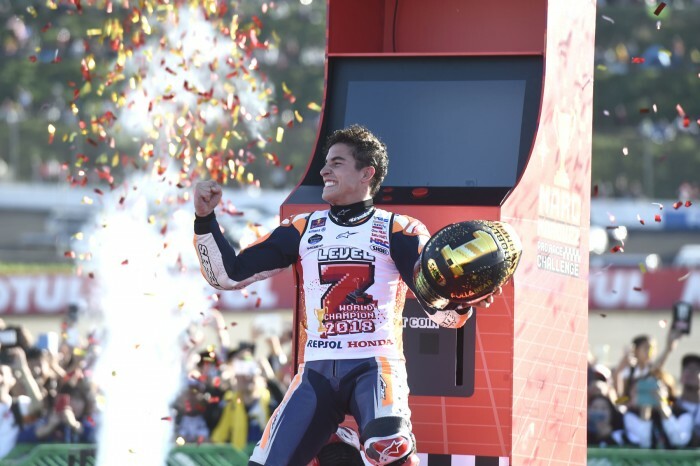 Marquez celebrated his seventh title in typically large fashion with a video game theme at the side of the track. However, before he got off his bike to run over to the pre-erect stage by the side of the track, the World Champion got a rather large hug from Scott Redding. “Scott stopped and I hugged him and I felt something strange and I dislocated my shoulder. I then stood on the asphalt and my brother and Jose put it back in. its not the first time, maybe it was my weak point of the season, during the season I dislocated it many times training at home. In December I need to have a pit stop with Dr Mir and next season it will be perfect,” explained Marquez. 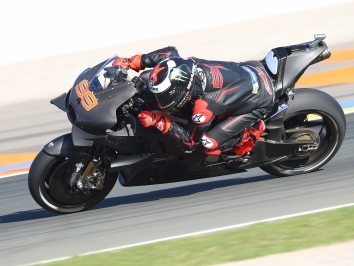 2018 marked Marquez’ fifth MotoGP title in six years of competing in the premier class, but Marquez attributed his success this year down to the consistency he targeted through the past winter. “When I check the papers and I see 20, 25, 25, 20, 20, 25 this is something that we tried to work really hard,” he said. 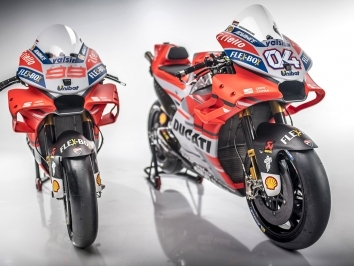 “In the pre season to achieving this consistency and this is what I learn about Dovi last year. He was really good at managing the situation. 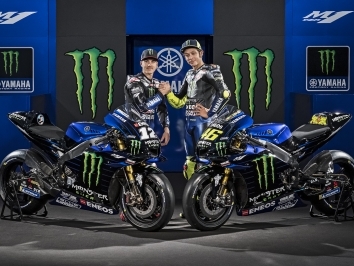 “This year we did a really great job along with HRC all the staff, because sometimes I give a little but more to the bike and sometimes it gives a little more to me so these compromise makes this consentient and really, really good through the season.